The mid-infrared laser emission in the wavelength range of 1.9 μm-3.5 μm can be used for environmental monitoring, toxic gas detection, chemical sensing and industrial process control. For example, the 2.3 μm wavelength is in the strong absorption peak of the main constituent in natural gas. So it is very suitable for monitoring the leakage of natural gas in petrochemical industry and family, and ensuring production and person safety. In addition, the laser in this wavelength range is not only safe for human eyes, but also a very important air window that is relatively transparent in the air. Therefore, it is also widely used in the fields of laser ranging, optoelectronic countermeasures, free space optical communication and target indication. The lasing wavelength of optically pumped GaSb based semiconductor disk laser (SDL) just covers the wavelength range of 1.9~3.5 μm, and it can not only output circular Gauss beam, but also achieve high power continuous output at room temperature. At present, it has become a hot spot in the field of mid-infrared laser technology. The research group of Academician Lijun Wang and Researcher Cunzhu Tong from Changchun Institute of Optics, Fine Mechanics and Physics, Chinese Academy of Sciences, has sufficiently studied and analyzed the research status of the optically pumped GaSb based semiconductor disk lasers. Most recently, the wavelength of GaSb based SDLs has been extended to 2.8 μm. The highest output power of the GaSb based SDLs has reached 17 W at the temperature of 20 °C. By using active stabilization, the GaSb based SDL with line-width of 20 kHz and output power of 1 W was realized. Moreover, the shortest pulse obtained from the GaSb based SDLs was generated as short as 384 fs by incorporating semiconductor saturable absorber mirrors (SESAM) in the cavity. The research group of Academician Lijun Wang and Researcher Cunzhu Tong from Changchun Institute of Optics, Fine Mechanics and Physics, Chinese Academy of Sciences focused on the research of advanced optoelectronic devices including quantum dot lasers, Bragg reflection waveguide photonic crystal lasers, mid-infrared semiconductor laser and disk laser etc..
Academician Lijun Wang leads his research team in the field of basic and applied research in laser technology. Academician Wang has won the second prize in the National Technical Invention, and the second prize in National Scientific and Technological Progress Award. He was elected academician of the Chinese Academy of Sciences in 2013. Researcher Cunzhu Tong put forward the quantum dot full path relaxation rate equation model, developed P type modulation doped quantum dots vertical cavity surface emitting lasers with low threshold, put forward a new photonic crystal waveguide structure and achieved high power semiconductor laser with low divergence angle and circular beam. There were more than 80 academic papers published in international journal. The research achievement of high-power ultralow divergence edge-emitting diode laser with circular beam was selected by China laser magazine as “2015 China Optical important achievements”. Shu S L, Hou G Y, Feng J, Wang L J, Tian S C et al. 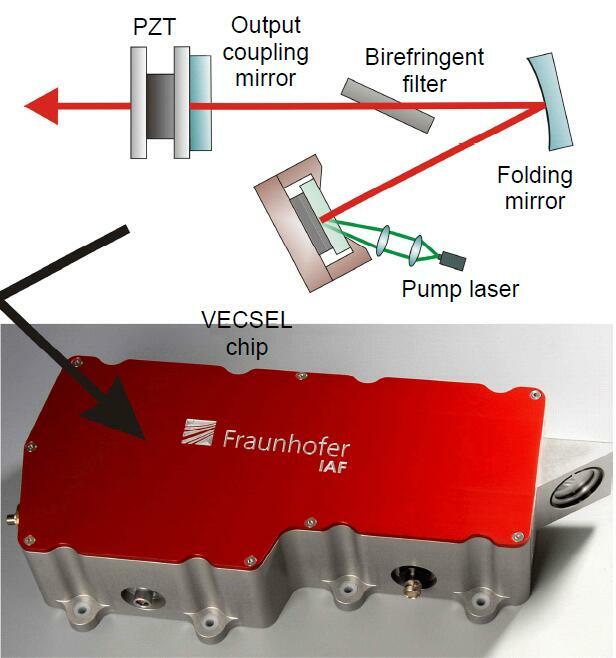 Progress of optically pumped GaSb based semiconductor disk laser. Opto-Electronic Advances 1, 170003 (2018).